Instagram is one of the biggest and busiest platforms on the planet. Don’t miss out on a bit of this massive pie! This article will tell you some ways to do affiliate marketing on Instagram. It’s actually not that hard (though growing is a trickier puzzle). Let’s get started! Why do affiliate marketing on Instagram? Instagram is probably the biggest online platform in the world, after Facebook. It has recently reached 1 billion (yes that’s billion with a b) monthly active users, according to this Statista article. That’s not total users, or occasional users, that’s people who regularly use the platform every month. That is a seriously mind-boggling number. Pinterest is a huge platform and a massive source of traffic and it has 250 million monthly users. Pinterest is a massive traffic beast, and Instagram is four times the size of Pinterest! If you’re not on Instagram, you’re crazy. That being said, it is a very different beast to other platforms. If you treat it like Facebook or Twitter, you’ll fail and go nowhere. So I’ll explain how affiliate marketing works on Instagram and how you can leverage this huge platform. Most social platforms like Pinterest, Twitter and even Facebook are heavily focused on links to external content. Facebook is frantically trying to limit the number of people linking out downranking external links in its EdgeRank algorithm. Pinterest certainly isn’t – link pins are pretty much it’s entire point. Twitter as usual just doesn’t care what people post there. Instagram is very different in that it doesn’t actually allow any links on its platform at all! The only link you can have on Instagram is one link in your bio. Apart from that, you can paste links as text in comments of photos, but they won’t be hyperlinked. And considering that 99.5% (that’s not a typo) of Instagram session are on a phone, where copying and pasting are pretty clumsy, you can be guaranteed they won’t be used much if at all. OK, so Instagram has worked hard to stop people from turning it into another Twitter, i.e. a big link spam-fest that drives the value of the platform down to zero. So you can’t post links. So what do people do? They look at photos and engage with photos. 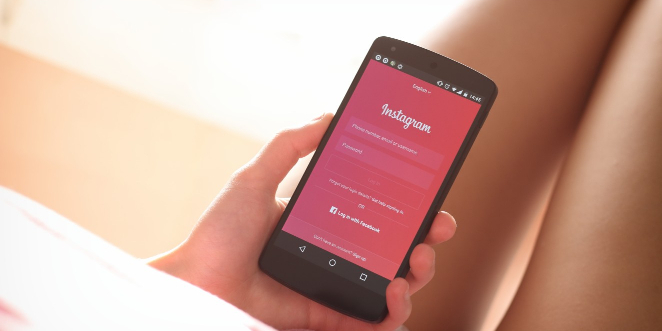 And while the no-link rule is a big bummer from a marketing perspective, there’s another important feature of Instagram which is a potential goldmine for marketers: the Instagram algorithm. While the Facebook algorithm is all about dropping and blocking things from your feed (to stop spammers and force people to buy “boosted content”), Instagram is the other way around. The Instagram algorithm on the Newsfeed is pretty dumb and just ranks content from your follows based on how much engagement they have. But the Explore page is another thing altogether. The Explore page is a huge game-changer. It is where Instagram algorithm shows content from people outside your Follow list. So if you can get something to generate enough engagement to start appearing on some people’s Explore pages, and they like it, then it can go seriously viral. It starts appearing on more Explore pages, generating more engagement, which pushes it on more and bigger Explore pages, and so on. Anyway, this is now more about how to grow on Instagram, which is another post in itself. This article is more about how to actually do marketing on Instagram. So what can you do? There are a few options. This first one is a no-brainer: put an affiliate link in the bio of your Instagram account. It can be anything! I would recommend putting in something that relates to the theme of your account. And ideally, something where you can capture something about people. At least a page with a Google and Facebook retargeting pixel, so you can retarget them later. (Actually, you don’t even need the Facebook pixel, for reasons I’ll talk about later in this article). But even better, a page with an email signup form, so you can capture leads, and email them later. Then maybe redirect them to an offer. That way, you might get some sales, but you’ll also get some leads, which you can email later. This is a simple affiliate marketing funnel which I have talked about before and will talk about more in the future. So maybe you don’t have a big Instagram following and nobody is going to your profile. No problem – get traffic from someone else’s! Influencer marketing is all about leveraging the audience of existing social media influencers. And Instagram is perfect for this strategy. You can buy things called “shout-outs”, where you pay someone to put a photo and link on their profile for a day or so. And all their followers see the photo (which has text telling them to click the bio link), and they hopefully click that link. You can contact these people directly, or go through a marketplace like Shoutcart. Now, if you want to know more about how to set these up, what offers to put there and how to follow up on them, I can’t describe all that in this article. It would go for pages and pages. I would instead strongly recommend you take the course Fuego Breakout by internet marketing legends Brendan Mace and Jono Armstrong. It explains this process in great detail. You can read my review here, or check the best price here. Or maybe if you have a big following, you can do it the other way around – you can get paid by people to do shoutouts! You would need to have a pretty big following, 10K or more for this to really work. And that’s not very easy to come by. However, I am working hard on Instagram, and hopefully will have some things figured out to share with you guys. If you have a big following, another thing you can do is paid posts. That’s where say Gucci handbags or whatever pays you to take a selfie of you with a handbag and a caption saying “Oh I love my new Gucci handbag so much!” or something. Pretty crass, but that’s social media for you. Again, this only works if you have a big following, which is a bit of a barrier to entry. How much you would get paid would be based on how big and engaged your following is. Although another option would be to buy a big Instagram account (there are websites where you can do this) and then look to monetise the account that way. Another option would be to become someone’s Instagram account manager. There are lots of companies and wanna-be celebrities out there that don’t know how to manage and grow their Instagram account. So you can do it for them, and get paid for it! This isn’t really affiliate marketing, it’s more service arbitrage, but I guess it’s a way to make money from Instagram. So I’m including it here. In case you’re thinking “I don’t know how to do this and it sounds like a lot of work!”, well, there’s an easy solution. 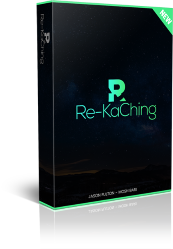 The Re-Kaching course teaches exactly this, and it includes free access to some pretty sophisticated software that handles a lot of the grunt work. Some people charge $20 per month for software to do this and you get it for free with Re-Kaching. Pretty neat! You might want to check it out. Ah now we get to the secret magic sauce – retargeting! This is where most people leave big stinking piles of money on the table. You see, Instagram is owned by Facebook. Completely. So every Instagram is in a way a Facebook account, even if you don’t think it is and even if you don’t link it to a Facebook account. And what this means (pay close attention) is that every Instagram account has a Facebook retargeting pixel included on it. Every single one. You don’t have to do anything, it’s just there, whether you want it to be or not. And of course, every Instagram user who visits your profile, therefore, gets tagged to your Facebook pixel (if you linked your Instagram account to your Facebook account, which you should). Assuming they have a Facebook account linked to their Instagram account, which I think about 95% do. So now you are building up a Facebook retargeting list, for free! That’s freaking insane! Remember, getting people to click on links and buy stuff on Instagram is hard. That’s not what people are there for. But you don’t need to! You just need to get them to look at your profile and/or watch your videos. Because now you can retarget them on Facebook, where people ARE there to click on links and buy stuff. Building up a retargeting list of thousands of people via a website or Facebook ads would cost you a fortune (or months of work). But getting thousands of people to visit your Instagram account can cost you a hundred dollars or less, or a few weeks of uploading (or copying) pictures! This is how the infamous internet marketing “celebrity” Tai Lopez made his millions. This is exactly what he did. He started an Instagram account, made some dumb videos of him showing off his sports cars, then bought a pile of powerlikes (basically you pay people who manage multiple large Instagram accounts to Like your content) to get his videos on the Explore pages. The videos went viral and spread all over Instagram. Big deal, you’re probably thinking. But then he ran Facebook ad campaigns, retargeting people who watched 50% or more of his Instagram videos (to make sure they were people who were actually interested in his content). Yes you can retarget in Facebook based on what percentage of a video you posted on Instagram people watched. I’m not making this up. A couple of hundred bucks on powerlikes can get you a truckload of Instagram views (easily tens of thousands, if it gets on the Explore page of enough accounts, which it probably will with enough powerlikes). Again, they’re just views, nobody is buying anything on Instagram. But they don’t need to! You have just created a massive Facebook retargeting list. And thus halved (at least) the cost per lead on your Facebook ads campaign. And if you’re spending thousands per week on Facebook ads (which he was), halving your cost per lead for a couple of hundred bucks is obscenely powerful. I hope you can now see that Instagram is actually a tricky and potentially powerful platform. But it is a complex creature. I haven’t even gotten to how to grow, which is another much more complex topic (and I’m still figuring it out). If you have any questions about Instagram, or if you have some tips that I haven’t thought of, please share them in the comments!